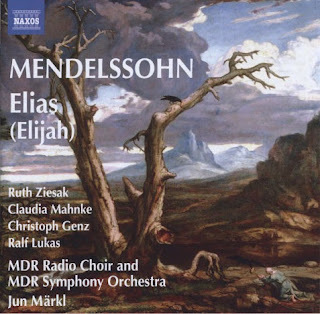 'Elias' is quite a tour de force, at least by Mendelssohn's standards. Musically it is one of his most diverse works, and he makes the most of every opportunity for choral counterpoint, for elegant vocal solos, for atmospheric scene setting...the list is almost endless. On the other hand, the composer's discipline is everywhere apparent, and the finely judged proportions of the work are surely a key to its success. In fact, the oratorio tradition in the 19th century was almost as strong as in the 18th, yet only two works from it survive into the modern repertoire, and both are by Mendelssohn: this at St. Paul. To modern ears, the influence of Bach is an interesting dimension of this music. It was written only a few years after Mendelssohn's rediscovery of the Matthew Passion, and the links between the two works are undeniable, not least in Mendelssohn's skilfully polyphonic use of the choir. The work's continuing popularity, not least with amateurs, belies the difficulties it poses for performers. True, Mendelssohn has a knack for creating the maximum dramatic effect with the minimum of technical difficulty, but he still expects a high standard of musicianship from soloists, orchestra and choir alike. The greatest strength of this recording is that the performers all work to almost uniformly high standard. The MDR Radio Choir display a unity of intent that is all too rare among large, amateur choruses. Perhaps their numbers have been reduced to improve the ensemble, but if so, they still manage to pack a punch when needed. Among the soloists, the most distinctive is the soprano Ruth Ziesak, who brings a sense of operatic scope to the proceedings. None of the other singers are quite as distinguished as her, but all put in fine performances. Mendelssohn often writes for the soloists as an ensemble, and the minimal vibrato of the other singers allows these movements to cohere elegantly. That said, the timbral contrast between two male soloists, the tenor Christoph Genz and the bass Ralf Lukas, is a real benefit to many of their duet recitatives. Genz has an unaffected purity of tone, while Lukas has a slightly more constricted and impassioned sound. There aren't many roles where that sort of sound production is appropriate to the bass voice, but the title role of Elijah is surely one of them. If I have one complaint about the performance it is that it lacks urgency. Jun Märkl shapes the movements well, but the tempos are often too static and the orchestra rarely takes the music to dynamic extremes. There is so much potential drama in this music that is only occasionally realised by this performance. It is as if we are presented with a rendering of the score rather than an interpretation of the music. The sound quality too is serviceable without ever being exceptional. For a studio recording it is surprising how distant the choir, orchestra and even the soloists sound. That makes for a very homogeneous sound, so Mendelssohn's elegant harmonies are much more in evidence than his ingenious counterpoint. Why is this recording sung in German? Two obvious reasons spring to mind: it was written in German and it is recorded in Germany. But it was premièred in English (in Birmingham) and Naxos is no doubt planning to sell this recording around the English-speaking world. Given the label's comprehensive approach to the repertoire, their long term plan is probably to release recordings in both languages. If they are planning to ever revisit this work, a performance on period instruments would also be welcome. What a shame to read the ophicleide part in the score and not be able to hear it. Some narrow bore trombones would also make for more interesting textures in many of the choral movements. No point though in complaining about what this recording is not. What it is is a perfectly serviceable Elijah, with no frills in the recording nor any in the packaging. Naxos don't go in for printing librettos, but I'm surprised they didn't make an exception here as it would easily have fitted in the liner. A budget price Elijah in every sense. 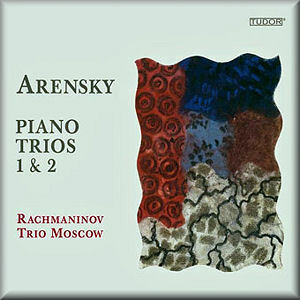 Arensky's First Piano Trio is among his most famous works, while his Second is all but unknown. Listening to the works back to back on this disc, it is difficult to account for the disparity. Both tick all the right boxes for a popular chamber work, they are melodic, dramatic, well structured. They are not masterpieces by any means, but I can't help the feeling that the Second Trio deserves at least some of the attention that the First has attracted over the years. Anton Arensky, much like Sergei Taneyev, is a composer who suffers disproportionately though comparison to Tchaikovsky. True, both Arensky and Taneyev actively sought to emulate, or at least continue, Tchaikovsky's musical project. So often in these sorts of popularity contests it simply comes down to who can write the best tunes, and by that measure Tchaikovsky wins hands down, with Arensky and Taneyev tying for a very distant second place. Tchaikovsky was a Classical composer in a Romantic age, and both Arensky and Taneyev inherited his classical outlook. Arensky in particular was a composer who depended heavily on traditional formal designs (with rigorous repetitions) and a sense of scale that belonged firmly in the 18th century. The positive side of this classical outlook is an emphasis on craftsmanship, and the sense of symmetry and balance in these works is one of their greatest assets. Tchaikovsky's influence could also be framed as a dialogue between the cosmopolitan and the nationalist traditions in late 19th century Russian music. But while Tchaikovsky manages to embrace both, Arensky is much more of the cosmopolitan school, always looking westward for his models. Dance movements here are courtly affairs rather than folk episodes, and the music's Russian flavour, while often apparent, is very difficult to pin down. These Russian performers are keenly aware of the music's Russian but non-nationalist character. Their performing style is Russian to the extent that the music plays out in broad, bold strokes. On the other hand, there is always a classical sense of restraint here too, which gives impressive clarity to Arensky's formal plans. The string players both have quite a woody tone, which is satisfyingly visceral, although it can sometimes impede the cantabile quality of the melodies. One aspect of the performers' restraint that puzzles me is the almost complete absence of dynamics or accents. Arensky was prescriptive to a fault on both issues, filling his scores with dynamic markings, hairpins and various accents. That can often be seen as a license to ignore some of the more obvious markings, but these players seem to ignore them all. That said, the phrasing is excellent, and is elegantly articulated through some very subtle rubato. On the whole, the Rachmaninov Trio Moscow do Arensky justice by creating passionate and energetic performances of his works while always working within his self-imposed aesthetic constraints. The sound quality is good, although not quite up to the standards set recently by some of Tudor's SACDs. The sound treats the three players as equals, and perhaps that is the way the musicians themselves work, but whichever way, it means that the piano rarely dominates and is often relegated to an accompanying role. The sound is surprisingly homogeneous for a piano trio recording, yet it never lacks clarity. All round, this is a good introduction to the music of Anton Arensky. It isn't the only way to play this music, not by any means, but the interpretations are coherent and engaging, and repay repeated listening. The works on these discs fall into three broad categories: short character pieces (many of them transcriptions), long, involved sonatas, and suites for solo cello. There is a certain unity of intent that unites all of Reger's work, but the overriding impression here is of contrast between the three groups. The short pieces are elegant and lyrical, light but never trivial. The sonatas, in contrast, are archetypal Reger, they are heavy, densely textured and, provided you are into Reger, among his most profound and deeply felt works. The solo cello suites balance this late Romantic existential angst with the economical style of Bach, which on paper might seem like a paradoxical combination, but which in practise turns out to be a very practical approach. If the short works that begin the first disc seem surprisingly lyrical for Reger, that is because most are arrangements of his Op.76 set of lieder. We are very much in Brahms territory here, and like Brahms, Reger has no qualms about simplifying his harmonic style as the situation requires. Personally, I'm more a fan of Reger's heavier work, but this first half a disc or so provides a gentle introduction to the more meaty fare ahead. The playing is beautiful, and the lighter textures give both players a chance to really shine. Much of this music employs the higher register of the cello with just simple piano accompaniments beneath. The elegance of Alexandre Knaizev's tone in the upper register is the key factor in the success of these works, and his almost vocal sense of phrasing really helps to articulate the form of these short movements. About half way through the first disc we meet the first of Reger's Cello Sonatas and immediately we are plunged into a darker and more troubled musical world. I'll confess that these works take some getting used to, but they repay, and deserve, repeated listening. They are psychologically turbulent in a way that many of Reger's German-speaking contemporaries (and I'm thinking particularly of the Second Viennese School) aimed for but only occasionally achieved. There are many moments of brief repose from the swirling textures, but these only emphasise the complexity and trauma of the surrounding music. The four sonatas span Reger's short creative career, the first has Opus 5 the last Opus 116, and they can really be heard as a progression. Intense drama is present from the first note of the First Sonata, but it isn't until the Third and Fourth Sonatas that Reger's approach to the genre crystallises. Knaizev and Oganessian give excellent readings of these works. Almost every movement of each of the sonatas is long and complex, and for a interpretation to be a success, the players must immerse themselves and their audience into the soundworlds, which is exactly what happens. Most of the tempos are on the slow side, which may be in an attempt to provide clarity to the dense textures in the piano part, although that is surely a futile aim. But as with the shorter pieces earlier on, the structural shape is always secured by Knaizev's thoughtful and expansive approach to the phasing. And however much the players try to elucidate Reger's textures, there are always going to be passages where chaos reins. Unlike in the shorter works, Reger rarely separates the cello out by writing in its higher register. So it is often the case that dense, harmonically ambitious, contrapuntal textures in the piano run in parallel to mid or low range writing in the cello. To the players' credit, they don't try to fight it, and the gloomy, muddy textures that result have their own kind of inexplicable beauty. If all that sounds a bit masochistic, relief comes in the form of some truly beautiful slow movements. They are not all exempt from Reger's megalomanic tendencies. In fact, they work best when they are at their most involved. For me, the highlight of this set is the largo third movement to the Op.116 Sonata. Here we have long, heartfelt melodies, played out over harmonically complex but texturally straightforward piano textures. Again, the performers take it slow, but their aim here is atmosphere rather than clarity. It comes in at almost 14 minutes, quite a contrast to the Gerhard Mantel/Erika Frieser recording of 1972 (Da Capo 77 503 – dreadful, avoid at all costs) which clocks in at 9 minutes. 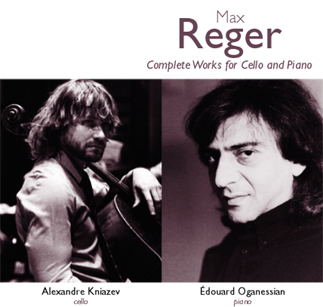 At this slower pace, Reger's many moments of repose have a dreamy, transcendental quality that really elevates proceedings. There is little, if any, transcendence in the Cello Suites Op.131c. The model here (of course) is Bach, but the relationship with Bach's Cello Suites is complex. Reger occasionally veers towards outright pastiche or even quotation, but the music always remains distinctively Reger. Even with just one player, he still manages a sense of density, of expression rather than texture. The music could easily become leaden in lesser hands, but Knaizev really knows how to bring it to life. His technique is very 'Russian' in the sense that he creates an almost tactile quality to his sound. Everything is very definite, yet there is plenty of subtly, variation and nuance too. I doubt he would play Bach like this, or at least Bach's Cello Suites could struggle under the intensity of this approach. Not Reger though, he is able to withstand this intensity and focussed concentration. The Romantic reading highlights the stylistic distance between Reger and Bach, although the Bachian figurations still make the composer's allegiances clear. On the whole, the sound quality is very good. I noticed one instance of peak distortion, on the last note of the Caprice in A minor. 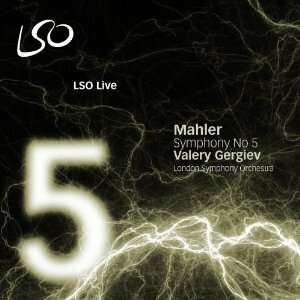 There is also some extraneous noise on the third disc, which may be Knaizev breathing. The textures on the second disc (Sonatas Three and Four) are more congested than elsewhere, but that is as much Reger's fault as anybody else's. I'm sure there are other ways of recording this music, using the technology to force a sense of clarity onto the music's complex, tangled webs. But by not doing so, the recording feels truer to Reger's often convoluted intentions, for better or worse. The packaging is very stylish, and there is a funky abstract design printed on the front of each of the discs. The liner notes are informative, but it is clear that the three discs have previously been released individually, and that the notes have since been crudely conflated. This is a highly recommendable set, thanks mainly to the sheer quality of the cello playing. But while I can recommend it on its own considerable merits, it is probably worth bearing in mind the competition. In recent years, the Sonatas have been recorded by Alban Gerhard and Markus Becker (Hyperion CDA67581/2) while the Suites have been recorded by Peter Wispelwey (Channel Classics CCS9596). Both have received glowing reviews, which given the usual prejudices in the English speaking world towards the composer is no small achievement. This release will, I suspect, undercut both of those in terms of price, so that may count in its favour. What a luxury though for Reger fans to be offered a choice of such fine performers for this hitherto scandalously neglected music! Poor old Alfred Brendel. When he retired from the concert stage in 2007, one of the long-postponed projects he turned his attentions to was the promotion of his more recent recordings, in the hope that his legacy would not be judged purely on the basis of his earlier discs. And if ever he had control of the rights to his earliest recordings (which is highly doubtful), they are now well and truly under the control of record execs, whose only apparent interest is to wring every last possible penny of profit from them. So, here we have yet another re-issue of Brendel's 1960s Turnabout/Vox Beethoven Sonata cycle, this one in truly gruesome generic packaging. Looking on the bright side though, this presumably means it is being sold for next to nothing, and while the pianist undoubtedly achieved far greater things with his second and third Beethoven Sonata cycles, there is still some great playing here. So if you can see past the lobster-hued packaging, or rather if you can bring yourself to allow it in the house, this set is surely a bargain. Brendel certainly evolved as an artist over the course of his long career, yet there are aspects of his playing that were as apparent in 1962 as they were in 2007. His focus on the detail of the music is already very much apparent. So, just as in his later years he was able to both represent every detail of Beethoven's notated articulations and dynamics, but more importantly to fit them into coherent interpretations and show why each of them matters. The accuracy of Brendel's playing was a hallmark his mature years, and while he does trip over his fingers once or twice in some of the fastest passages here, the general impression is of masterly technical competency. 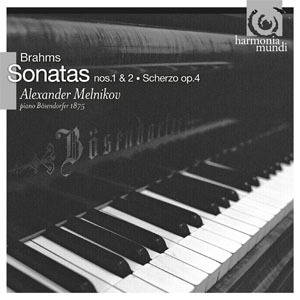 These Beethoven Sonatas are very good, while his Philips recordings are truly great. So what's missing here that he later added to his interpretations? Well, many of the sonatas, and the later sonatas in particular, lack depth. It is quite difficult to pin down exactly what that amounts to, but there is a sense of poise in his later recordings that you don't quite get here. On the technical side, the gradation of dynamics is not as subtle. (There is less weight in the bass too, but that is probably a result of the earlier sound recording.) And in the later recordings, Brendel is always able to make the most of the surprises, those sforzandos and things that, even though you know they are coming, still startle when performed by the greatest players. So perhaps it is a feeling for the drama of the music that he developed in the 70s and 80s that is missing here. But it is only the later sonatas that rely on the theatrical for their structure and musical logic. As a result, the best playing on this cycle is to be found in the earlier sonatas. The way that Brendel can present often quite generic 18th century textures without affectation and always avoiding cliché, that's a real gift and it makes these early recordings of Beethoven's early sonatas something really special. 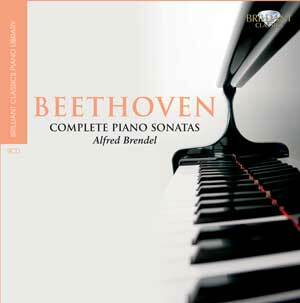 And the later sonatas are well worth hearing too, just so long as we give Brendel the benefit of the doubt, and bear in mind that, while he hadn't managed it in the early 1960s, he would go on to become one of the greatest Beethoven interpreters of the 20th century. The audio isn't bad for its time, although as I say, the bass lacks weight (a real shame with Bendel), and the upper frequencies are lacking too. If it wasn't for Alfred Brendel's own protestations in support of his later work, I'd happily recommend this box, especially given the price. I can recommend it as a historical document, in that it was this set that first put Brendel on the road to international recognition. Listening to it, you can tell why that is. Everything on it speaks of the immense potential of the performer. We are now in the fortunate position of being able to hear what happened when that potential was realised. Those later recordings will cost you a lot more money, but if you hear this set without hearing Brendel's later work, you're really only getting half the story. This disc promises new interpretations of familiar classics, but innovations are thin on the ground. The do.gma chamber orchestra is made up of young musicians and is led by the equally youthful Mikhail Gurewitsch. They are a competent group and the technical side of their playing isn't bad at all, but despite their claims to the contrary, they have nothing radical to say about this music, making for pleasurable but predictable results. For most conductors, Tchaikovsky's Serenade for Strings is an excuse to show off the dramatic power of their orchestra's string section, a whirlwind ride through every shade of emotion you might find in a Tchaikovsky symphony, only without wind or percussion. Gurewitsch, in contrast, seems to take the generic title at face value, and directs a performance that is more in the spirit of Mozart or Haydn. There is no grandeur in the first movement (which is unusually fast), little passion in the Valse or Elegia, and the Finale, while it is admittedly longer than its material justifies, feels longer still for the rigid performance it gets here. Souvenir de Florence comes off better. There is a bit more drama here, and a bit more expressive rubato too. The work is better known in the original version for string sextet, so performing the version for string orchestra gives the players a natural advantage in terms of symphonic power, and for the most part they make the most of it. Like the Serenade, and indeed many of Tchaikovsky's works, the Souvenir poses a challenge to performers in the dichotomy between the Romantic passion of the music and the Classical structuring of the individual movements. For the most part, they veer towards the Romantic in the Souvenir, which makes for a greater sense of engagement from the listener's perspective. The audio is good, but by SACD standards it is not exceptional. The individual lines all come through OK but the orchestra always feels a bit homogenised. Some moments of shaky intonation don't help either, although they are mostly isolated to brief exposed episodes. The stereo array is interesting, in that the first and second violins are placed on opposite sides, emphasising the stereo effect at the top of the ensemble, while distributing the bass more evenly. Every time I hear one of these MDG 2+2+2 discs, I wonder what the six channel mix sounds like, and I'll confess to not having the technology to find out myself. Perhaps greater efforts have been made there to draw the listener into the mix than have for the stereo mix. Perhaps the problem with this disc is the coupling. Despite the fact that Tchaikovsky himself wrote or arranged both works for string orchestra, and the fact that they are of similar length, the fact remains that the former is very much a symphonic work while the latter fits squarely into the chamber repertoire. The two works can retain their respective symphonic and chamber identities, however many players are involved in a performance, provided the right stylistic approach is taken. 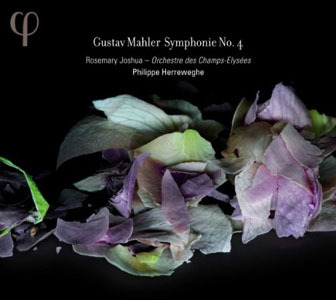 This recording tries to bring the works together somewhere between the symphonic and chamber music worlds. That might provide continuity across the programme, but does both works a disservice. The music of Mieczyslaw Weinberg has been gradually finding a worldwide audience in the 15 years since he died. It has been a long and painfully slow process, but performers are gradually rediscovering his works, which are prolific and accomplished, and which seem to cover pretty much every important genre and instrumental combination. 2011 could be something of a breakthrough year for the composer, at least in the English-speaking world, with the UK première of his opera 'The Portrait' at Opera North, and a handsome new biography by David Fanning (admittedly published in Germany, but in the English language). Comparisons are difficult with Weinberg. He was a close friend of Shostakovich, and his music shares many traits with that of his more famous compatriot. Weinberg's Jewish heritage often shines through in the melodic identity of his music, creating a clear parallel with Shostakovich's works with Jewish themes. And there is a darkness to Weinberg's music that often matches Shostakovich when he is at his most morose. But what distinguishes the two men is Shostakovich's talent for irony, for creating interacting, and often opposing, simultaneous levels of meaning. That can provide essential levity to Shostakovich's music, but is sorely lacking in Weinberg, especially when he is at his most serious. Thankfully, the works on this disc find the composer in a different frame of mind, all are serious and dramatic, but in general the textures are lighter than typical Weinberg. This disc presents the composer at his most approachable, making it an ideal introduction to his music. The Children's Notebooks were written for the composer's 12 year old daughter. She must have been an extremely competent pianist, because these aren't easy at all. If he gives her any concessions, it is in the number of notes on the page. That is perhaps what makes the pieces more approachable than most of his other music, the (relative) lightness of texture. Dramatically, though, they are anything but light, and the 23 movements move between a wide range of emotions and temperaments. The music was written in 1944-45, and even though the family had been evacuated to Uzbekistan, it is easy to tell from the music that there is a war on. 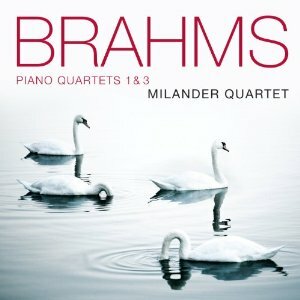 From an interpretational point of view, the lighter textures of the music are perhaps more of a hindrance than a help. They mean that the pianist is required to evoke intense drama, but with few resources. Elisaveta Blumina gets the tone just right. There is plenty of turbulence here, and plenty of drama. But she also maintains that valuable clarity that makes these works so attractive. There is also an impressive coherency about the reading, a sense of stylistic logic that allows each movement to follow on from the last, often in spite of radical contrasts of mood and texture. The First Sonata is a more substantial affair, with more notes, more drama and more structural innovation. In fact, Weinberg seems to be actively opposing expectations throughout the work. As with the Children's Notebooks, a melodic lyricism allows each of the movements to flow with relative ease, despite the wide variety of textures and harmonies going on underneath. The Sonata is an early work, written when the composer was only 20, and this may explain why this, too, is lighter in mood and style than his later chamber music and symphonies. The exception is the finale, which is as complex and dense as anything in the Soviet piano literature. So for a few minutes at the end of the disc we are in Prokofiev territory with colossal left hand arpeggios and everything in the right hand doubled in octaves. None of which poses any problems for Elisaveta Blumina, who seems to relish these more involved textures after the relative lightness of what has gone before. 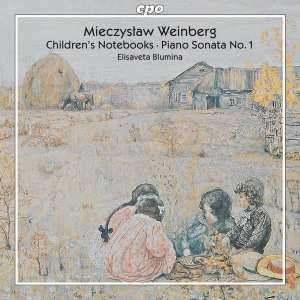 An excellent introduction, then, to the unique music of Mieczyslaw Weinberg. The number of Soviet-era composers whose work is under-appreciated in the West is depressingly long, but the gradual increase in interest in Weinberg may mean that he can soon be struck from the list. The string sonatas and symphonies are the works that have been doing the rounds in recent years, but as this disc demonstrates, there is much in his output that should be of interest to pianists as well. Certainly, the Sonata deserves a place in the repertoire, and hopefully this excellent recording should help it to secure the reputation it deserves. Sergey Lyapunov is one of the more agreeable of the also-rans of Russian Romantic music. He was closely associated with Balakirev, even more closely, it seems, than were the rest of the Russian Nationalist School. They were a pretty close-knit bunch though, and the stylistic traits you will hear on this disc hark back not only to Balakirev himself, but also Mussorgsky, Borodin and Rimsky-Korsakov. The First Symphony, in particular, is full of the sort of music you'd associate with Borodin and RK. Those tutti punch chords that punctuate Borodin's symphonies are everywhere apparent in the outer movements, and the long flowing melodies of Scheherazade have significant paralels in the inner movements. Interestingly, though, we are not necessarily talking about one-way influence here, as the First Symphony is almost exactly contemporaneous with Bordin's First and Rimsky Korsakov's Scheherazade. The Violin Concerto is a relatively late work, its final version dates from 1921. Surprisingly, there is little influence from Glazunov's famous concerto here. Lyapunov is much more focussed on thematic development than Glazunov. That's a sad irony, because, like Glazunov, he isn't very good at writing memorable tunes. Still, both the violin and the orchestral writing is very imaginative and idiomatic. It's in a single movement, ranging between a variety of different tempos and moods. Maxim Fedotov gives an excellent performance. His style is just Russian enough, i.e. he is able to really lay into the strings for the fortissimo double stopping passages, but he is also happy to pull back for the quieter and more reflective passages. Even there, though, he has a substantial, quite guttural tone. It's not sweet as such, but it is very attractive and always interesting. The First Symphony is a much earlier work, and its various weaknesses show all the signs of compositional immaturity. There is an almost obsessive reliance on thematic coherency, almost to the extent of monothematicism, and the structure is generic to a fault. On the other hand, the orchestration is imaginative, especially the use of the lower woodwind and brass (there's not much for the percussion though), and the deliberately Russian flavour of the music gives a real sense of character to every phrase. You could be forgiven for not having heard of the Russian Philharmonic Orchestra. They are better known as the Moscow City Symphony Orchestra, and were founded by the city council in 2000. So they are presumably yet another product of the populist largesse of mayor Yuri Luzhkov that kept him in popular favour for so many years. 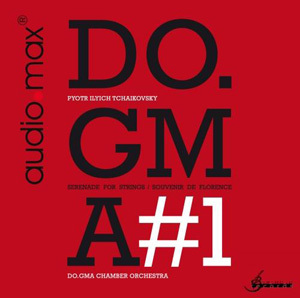 Whether Moscow needed another orchestra is another question, but given their high standards of performance on this recording they are certainly justifying their existence. This is an ensemble to whom the Russian national style comes very easily indeed. 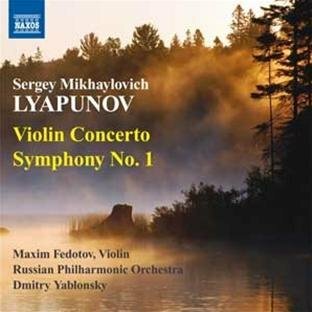 Technically, there isn't much here to challenge them, but when Lyapunov spotlights underused corners of the orchestra, they always come out shining. The trombone section deserves a special mention, they have a real Russian trombone sound, directed and focussed but never narrow. It is the sort of sound that brings to mind the Leningrad Philharmonic in their Mravrinsky days. The recorded sound is good, unusually good for Naxos. I'm particularly impressed by the way the solo violin sound has been reproduced. He is placed well in front of the orchestra, and very close to the microphones. That could be a dangerous approach, but it really works, giving him a real sense of immediacy, almost as if he were in the room with you. The orchestra comes across well on the recording too, especially the woodwind and brass who have real definition in the symphony. 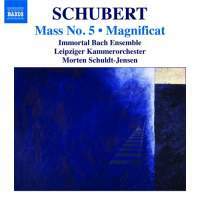 A very interesting new release then from Naxos. In a sense, they are going back to their roots by hiring an Eastern European orchestra to play lesser known music from their own country. That 's how the label made it big in the 1980s, and as this disc amply demonstrates, it is an approach that can continue to work wonders.